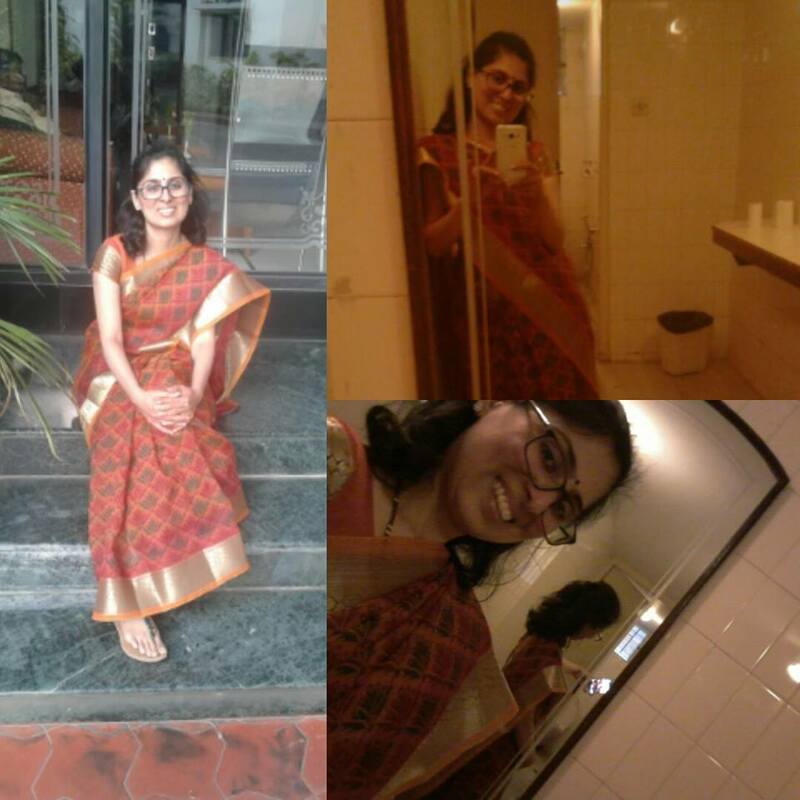 Broke another self imposed saree rule. I have been wearing sarees actively for over 15 years and there are still so many things I am doing for the first time. Mainly because of my size I only wear easy to wrap sarees and look at what I did today! 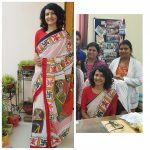 My first papad/appadam saree. Yes, the kinds that crunch and stand. This was a gift from one of Nakul’s aunts when she came to invite us for a wedding. I never wore it as it was not my type, so mom offered to wear it a few times to smoothen it up. But now we are all experimenting and stuff.. so here goes..